disappear records donates 18% of every download to the United Nations World Food Programme. Please note: MP3 downloads are purchased via a transaction separate from purchasing other items. Checks are not accepted for MP3 download purchases. 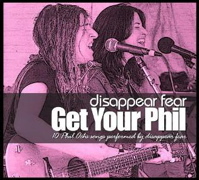 A new CD by disappear fear with ten songs written by the late Phil Ochs. This CD presents the harmonizing vocals of SONiA and CiNDY that have not been featured since "Seed in the Sahara." The CD is 100% made in America Folk Music. 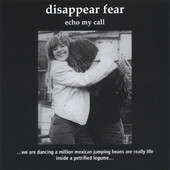 A new CD by disappear fear with ten songs written by the late Phil Ochs. This CD presents the harmonizing vocals of SONiA and CiNDY that have not been featured since Seed in the Sahara. The CD is 100% made in America Folk Music. 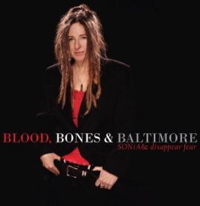 SONiA's new Blues-Americana CD, recorded in Baltimore. 10 great tracks of all new songs, except the longtime favorite of fans, "Biggest, Baddest Heart" and a Woody Guthrie song "Worried Man Blues." 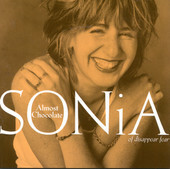 Splash was created to present SONiA’s music on one CD as an introduction for the new listener. It contains the hits from No Bomb is Smart (mixed differently), tango and 3 new songs including the popular By My Silence based on German Pastor Martin Niemoller’s poem about the Holocaust. 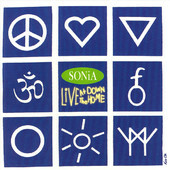 It is SONiA’s songs in Folk, Americana, World, Latin and Pop all in one splash! 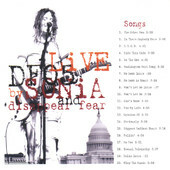 DF05 LiVE, the first all-LiVE CD by SONiA and disappear fear, was recorded at various venues and festivals across the United States during their summer tour of 2005. 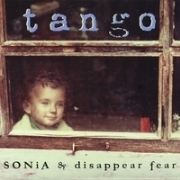 It is a musical documentary containing 17 songs written by SONiA and performed with disappear fear. 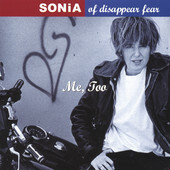 Me, Too was recorded in Baltimore as a joint venture between SONiA and multi-instrumentalist John Grant. Most of the instruments were played by SONiA and John with some help from Berklee College of Music Jazz genius Jane Miller and some fine background vocals from CiNDY. 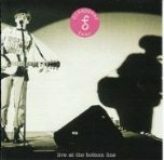 The title track was chosen to be on the HRC benefit CD to help the Human Rights Campaign. A live recording taken at the Philadelphia Folk Festival 2003 Main Stage performance is on the 40th anniversary CD honoring some of the performers of that year (and previous years). 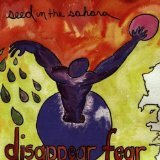 This 1996 disappear fear CD, produced by Roy Bittan, keyboard player from the E street band, features many favorite songs of disappear fear fans, including title song "Seed in the Sahara", "Michaelango" and B.Y.O.G. Features 8 LiVE songs of the sister duo of Sonia and Cindy in concert in the famous NYC nightclub. 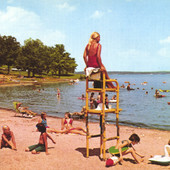 Four additional songs come from a mini tape recording in a studio setting that is just pristine and lovely. Those featured songs are Love Insurance, Box of Tissues, Long Long Way to Go, Damn Crazy, Postcard from Texas, and One More Chance. disappear fear's very first commercial release. It features songs like Vertigo, Walk On Glass, Unfinished Song, and From Baltimore to Anywhere (Amy Ray's favorite). Beautiful arrangements with cello and various percussive accompaniments. playing the violin at three. By ten, Sam was concertmaster and soloist at the Norwalk Youth Symphony. He is the first Manhattan School of Music precollege student to double-major in classical and jazz violin. He studies classical violin with world-renowned educator Patinka Kopec and jazz violin with Sara Caswell. 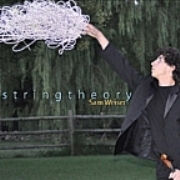 Sam was the 2008/2009 recipient of the Daniel Pearl Memorial Violin, and was honored to be an emissary for music as a universal communication between all people. from Latin jazz to bluegrass, acoustic folk, Texas swing and jazz standards. 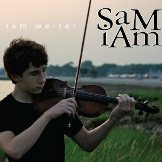 Sam I Am contains many world class musicians including SONiA, Dennis Chambers, Sara Caswell, Mike Block, Seth Kibel, Lulo Reinhardt, John Tomakos, Phoebe Hunt, Dan Navarro and more.